I love coffee. I love the fancy coffee drinks you get at Starbucks. But my bank account doesn’t like that they cost $5 each. That lead me to start making my own coffee drinks at home. And you know what? It was a lot easier than I thought it was going to be! Now, I don’t do anything super fancy. But I wanted to share with you my current favorite morning pick-me-up. It is that easy. And it’s super easy and fun to modify this depending on what you are in the mood for. 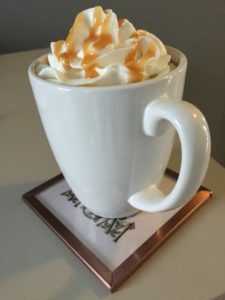 Do you make your own coffee drinks? What’s your current fave? I’d love to swap recipes!